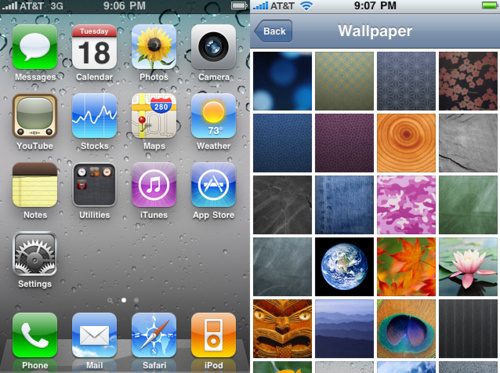 We just told you about the latest release of iPhone OS 4, Beta 4 Build 10M2252. 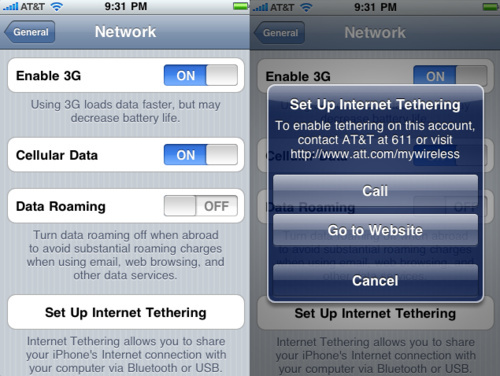 The biggest discovery yet that has been made in the latest iPhone OS 4 Beta release is AT&T appears to be offering tethering with the release of the OS, most likely with the release of the next iteration of the iPhone this summer. The proof is in the image below. Other less exciting discoveries include some new wallpapers seen below. As you can see there is also a “Utilities” folder automatically created on the home screen for the compass, calculator, clock, and voice memo apps. There has also been a toggle added to settings that allows you to toggle off “Group Messaging”. As of yet there haven’t been any issues reported. 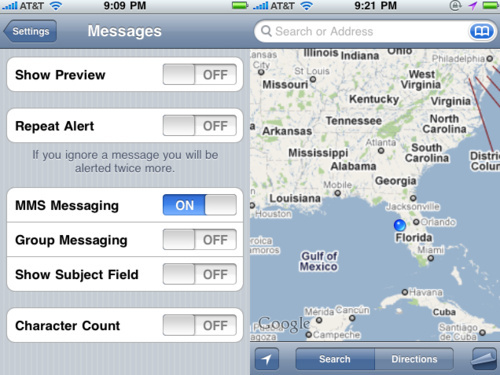 We will keep you updated here at BlogsDNA.com on any other discoveries that pop up in this latest release of the iPhone OS 4 Beta 4.